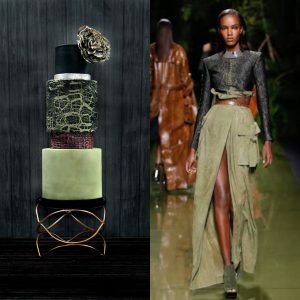 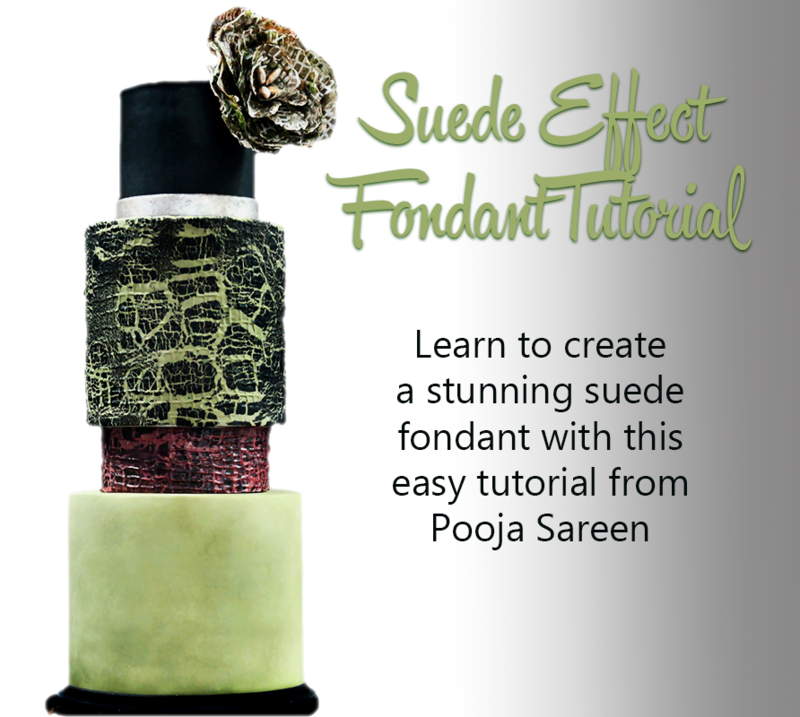 Sugar Artist Pooja Sareen shares a wonderfully simple tutorial for a fashionable suede fondant. 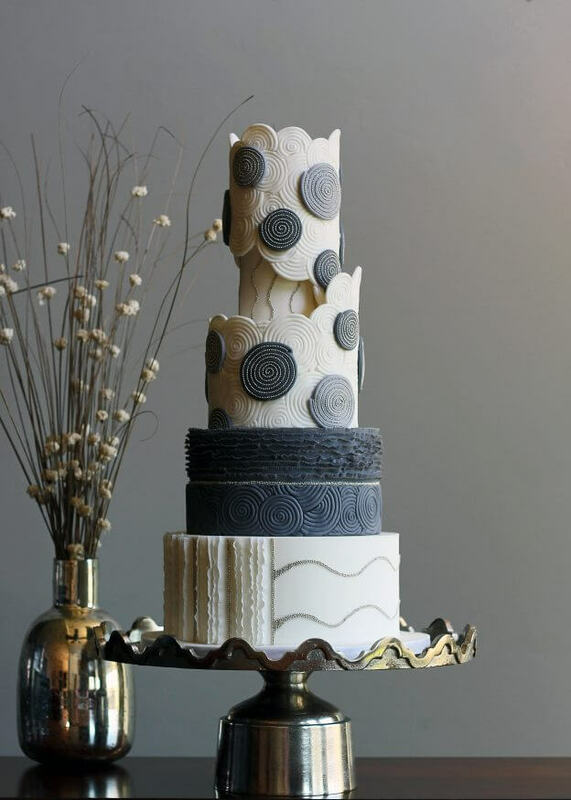 This texture is perfect for adding a touch of glamour to your cake designs! 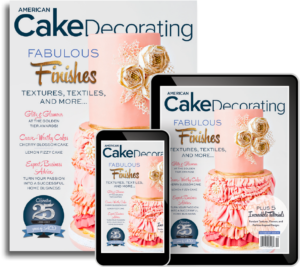 Sift the confectioner’s sugar into a clean and dry bowl. 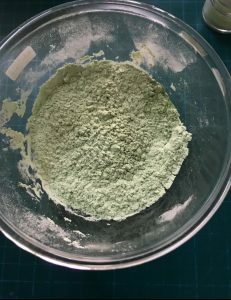 Then, add the color dust, sift again and set it aside. 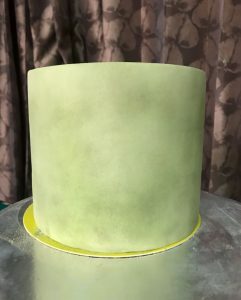 Pooja notes: Choose dust colors that are within one or two shades of the fondant covering your cake. 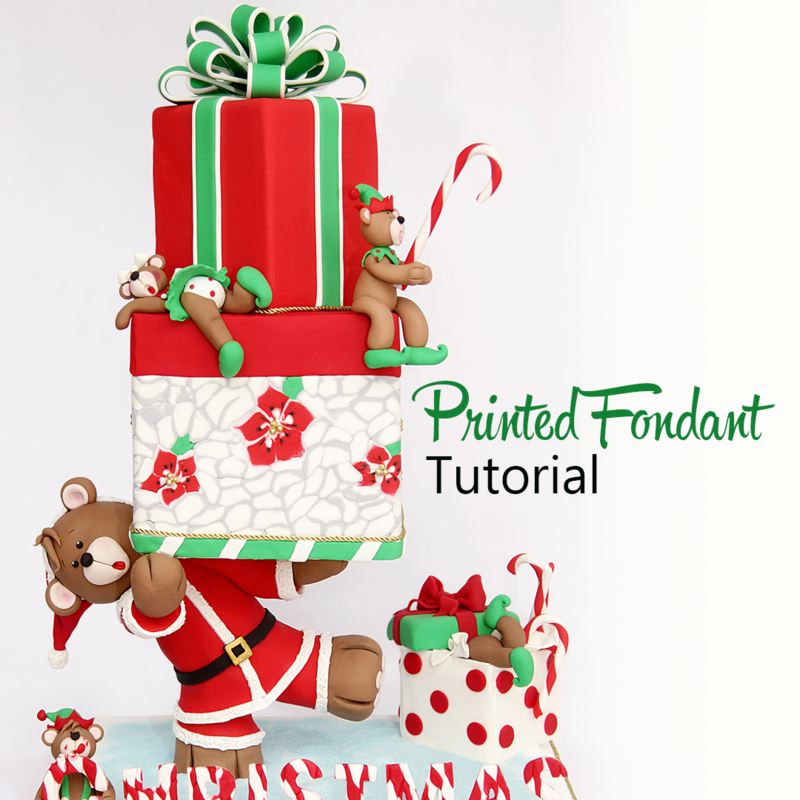 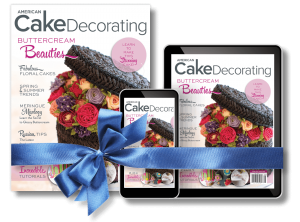 Place the fondant covered cake on an elevated surface, such as a turntable or an upturned cake pan or cake dummy. 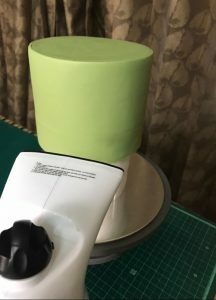 Using the steamer, steam the fondant all over until it is wet looking and tacky. 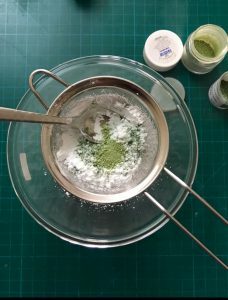 Once the fondant is steamed all over, begin liberally dabbing on the prepared dust mixture. 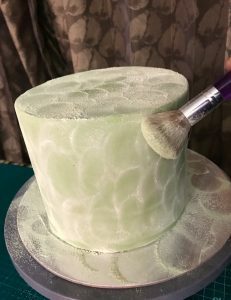 Pooja notes: Do not smear or brush the dust until the fondant is liberally coated. 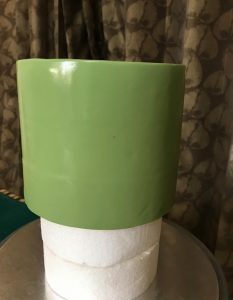 Once the fondant is completely covered with the mixture, gently buff away the excess dust to reveal the suede texture beneath.